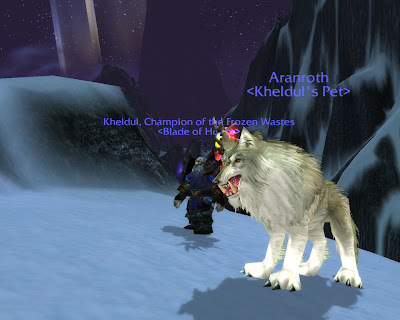 So, I finally got my brown-eyed Old World wolf up to level 80. I grinded a lot of mobs getting him up there. Once he dinged 80 he got his new name, Aranroth. That's derived from Tolkien's Sindarin meaning "king" and "wolf". Unlike those scraggly Northrend howlers, he is a good looking beast. 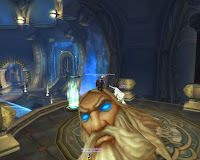 Earlier in the evening, we did some 10man stuff in Ulduar. Got some nice achievements and kills. I hadn't experienced some of them. Neat stuff. I'm eager to try out my new wolf pet in raids.